One of the most useful application that is included with Macintosh OS X operating system is Preview. Preview makes it fast and easy to view and edit pdf, jpeg, tiff, png, etc. files. Also image files such as Adobe Photoshop and Illustrator can be opened in Preview as non-layered files. Preview also has other functions such as scanning documents or photos, sharing files via email or chat, changing the file format, capturing screen shots, editing photos, and batch processing actions. Learn how to use these functions by reading the articles listed in the Related Articles section at the bottom of this post. Note: The features found in Preview for the Mac are available in Windows QuickView for PCs. However, QuickView is no longer shipped with Windows. But a third party equivalent that supports XP, Vista and 7 is available according to the QuickView section in Wikipedia. Preview is best known as an alternative to using Adobe Reader or Adobe Acrobat to view and alter PDF files. It is faster to launch Preview than Reader and had lots of useful features. PDF documents can be combined; pages can be moved between PDF files, reordered and rotated. Pages can be bookmarked, comments added, background color changed, view a PDF slideshow, a rectangle or circle can be drawn to emphasize an area. It also has other features depending upon the OS X Preview version. For instance, OS X Lion Preview version and greater allows PDF documents to be digitally signed. Note: Preview does an excellent job in displaying large PDF documents and allows some editing and other features, which may be all that is needed. But, it does not have all the bells-and-whistles of the latest versions of Adobe Reader and Acrobat support. As an artist, I find the Preview app viewing function indispensable as I manipulate and edit my art and collections into pleasing compositions. Preview also includes helpful tools such as the ability to add text to the image, some image editing capabilities, batch processing, view slideshows and animated gif files, and change file formats. It is much faster to open an image in Preview and use Previews functions and tools than to open the image in Photoshop or Illustrator to do the same thing. A single image or several images can be dragged onto the Preview app to open it. Or, images can be opened from the Preview app. Or, if the image file is a jpg, png, etc., it can be opened in Preview by double clicking on the image. To temporarily open images in Preview select the image or images with the mouse and then hold down the command key and push the Y key. Hint: Place the Preview app in the desktop tool bar so that it is easily accessed. – When manipulating parts of the image in Photoshop, it is difficult to look at the entire image to determine if the composition is pleasing and balanced unless you standup and move away from the monitor. I have found that it helps to instead reduce the size of the image when viewing the composition. A quick way to do that is make sure the Photoshop file is saved and then open the image in Preview by selecting the file, hold down the command key, and pressing the Y key. The image in the Preview window can be quickly enlarged or reduced by pulling on the bottom-right window handle. For information about composition read "Creating Licensable Art: Composition Tips"
– Using Preview to view multiple images in one window is a wonderful way to compare the images and determine if the collection is cohesive. Select all the images you wish to view at one time and use the command and Y key strokes to open the images in Preview. The four images displayed together at the top of this article is an example of opening multiple images in a Preview window. – If you have a large photographic reference library like I do, you may have trouble finding what photos you wish to use as a reference for new art. By selecting a slew of images in a folder and opening them in Preview you can quickly scan and select the ones you wish to use. When refreshing art, adding images to a collection, and working with art directors, there are times that you may want to mark changes and write comments on the image. Instead of printing the art and marking-it-up by hand, Preview allows you to do it on image files. 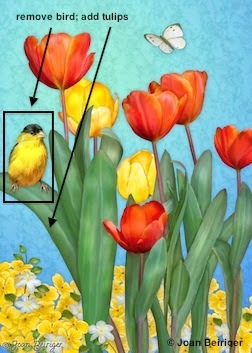 See an example of a mark-up on the above tulip image. Preview allows you to quickly label images with copyright and contact information. This is helpful if you want to place the image on a blog or submit it to manufacturers for licensing consideration. Images can be resized; the resolution and the format can be quickly changed in Preview. So instead of waiting for a large high resolution file to open in Photoshop, Preview can converted it to a smaller size, lower resolution jpg file in a fraction of time. That is very useful when submitting art to manufacturers for licensing consideration. In Preview, images can be rotated and colors adjusted. I found the ability to rapidly adjust the color saturation useful when placing images in the sidebar on my blog. For some reason, when images are placed in the sidebar the color saturation is reduced. Thus, I need to increase the saturation of the image before placing it in the sidebar. While in Preview, open Help at the top right of the function bar to find out how to use its many functions. Also read the following articles for more information on using Preview. • "Mac Basics: Preview app views and edits images and PDFs"
• "What IS Preview (and Why You Should Use It)"
• "Scanning with Preview in Mac OS X"
• "How to use Preview in OS X Lion to digitally sign documents". WARNING! This is not an upbeat article and is depressing because the art licensing industry is like other industries where people sometimes take advantage of others. The purpose of this article is to warn artists that they need to make sure that they are signing a fair contract or at least know the repercussions in signing an unfair one when they agree to have an art licensing agency represent them. The truth about art licensing agencies is that there are MANY agencies that are honest, professional, have a fair artist/agency agreement (contract)* and work hard to represent their artists. BUT, there are SOME that are unethical, and/or are not professional in dealing with their artists, and/or have unfair contracts, and/or have poor business practices. Sounds alarming, huh? Well, it is! And, that is why an artist needs to do her/his homework before signing with an art licensing agency. Read the following so that you do not make a bad decision and sign a contract that negatively impacts your income and even worse allows an agency to have control of all your art so that you lose your rights to it. In the fifteen or so years that I have been in the art licensing industry, I have heard many complaints and some horror stories from artists about the agencies that represent them. Unfortunately, those artists with the horror stores were so pleased that an agency wanted to represent them that they did not read the contract closely enough, understand all the terms, or realize that some terms that should be in the contract were missing. The artist’s big mistake was not to acquire information about the agency's reputation and business practices by asking other artists and not having an attorney that is an expert on art licensing contracts look the contract over before the artist signed it. * The artist/agency agreement is a contract and is referred to as a contract or artist/agency contract in this article. Most of the complaints I've heard about agencies are not as drastic as unethical agencies and unfair clauses in the artist/agency contract but about the lack of communication between the agent and artist, poor business practices, not getting enough or any licensing contracts with manufacturers, and not receiving enough money from the contracts. Some of these complaints were because the artist had unrealistic expectations such as earning a lot of money from each licensee contract. Read below for more information about agency complaints. Lack of communication and not being on the "same wavelength" between persons is a common human foible. It often results in frustration and may be intolerable when working together. Some artists want to be in constant communication with their agent and feel adrift and slighted if the agent does not immediately answer their questions or respond when new art is sent. Other artists realize that agents are busy and will respond as soon as they have time and are not upset when they do not get a quick response. Although, it does not go over very well if the agent does not respond at all. No one like their emails or art to "drop into a black hole" and not know if the agent received it. Note: Some artists find that if they phone the agent they will get a faster response than if they email her/him. Agents may not have the time in their busy day to sit down and write an email but find the time to chat if their artists phone them. Some artists expect agents to provide art direction, to send them the latest in art trends, and give feedback from the licensee when art is submitted. Or, there are personality clashes where communication between the artist and agent does not work because they are not on the same wavelength. Not all agencies provide art direction and some depends on the artist to keep up with trends. That is why it is important for the artist to talk with the agent before signing with the agency to see if there are any communication problems, if the agency provide the services the artist expects, and how the agent envisions the artists work will be used on products. Artist Jill Meyer describes the process she went through in selecting an agency in her very informative article "Finding a New Agent." An important part of Jill's process in selecting an agency was talking and asking lots of questions of the agent before considering hiring the agency to represent her. Also important was talking to other artists about the agency and having an attorney familiar with art licensing agree that the artist/agent contract was fair. SOME agencies do not have the best business practices. They are negligent in submitting art, do not make adequate follow-ups, do not keep track of art already submitted or licensed to manufacturers, and do not respond to emails from licensees or send signed contracts back to them in a timely manner. Any of these will damage the creditability of the agency. The following are some complaints I have heard from other artists and licensees. – Some agencies do not keep track of the art they submit to licensees and thus submit the same art time and time again. Licensees are looking for new art; not art that they already have seen. – Some agencies book keeping abilities are not very good and they do not keep track of the art that have already been licensed. Thus, they are at risk in licensing the same art for the same product to different licensees and breaching the terms of the contract granted to the first licensee. Some agencies do not reply to licensee emails or return signed contracts in a timely manner. Art directors appreciate quick responses and it shows that the agent is professional which helps in promoting future business. Also, a slow reply to a query can mean missed opportunities to license and promote art. – Some agencies do not follow-up frequently when licensees show interest in art and thus they may lose the opportunity to license it. – Also, some are poor in following up when payment of licensing fees are late or contracts do not arrive when expected. Some agencies submit their artist’s work to their entire client list in what I call a "shot gun method" in the hopes the licensee will be interested in some of them. Instead they should be submitting only the appropriate art for each manufacturer. 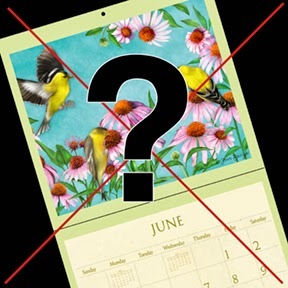 Licensees do not appreciate getting a ton of art that is not suitable to be put on their products and will eventually not open emails from agencies that submit art that way. Artists may not get licensing contracts because the agency does not have a list of licensees that is suitable for the artists work. Of course, the agency should never have signed the artist for representation if they did not think they could license her/his work. Or, it could be due to the impact on the licensing industry with the change in consumer spending and also the increase in competition of artists vying for licensing deals. The change in consumer spending has drastically changed the way retailers sell products. Retailers now order lesser products from manufacturers and the shelf life is shorter. Thus, licensing revenue per image is less than it was before the recession struck in 2008. Consequently it is not the fault of the agency to now get fewer and not as lucrative licensing deals for their artists. Artists and art licensing agencies are struggling to get contracts and bring in revenue. 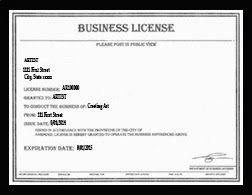 In the article "You Are Not Going to Make It in Art Licensing" art licensing agent Jim Marcotte of Two Town Studios wrote, "Art licensing today is an industry in search of a workable model. The scramble is on - agents and artists who used to make their money by licensing art are now finding ways to collect from (mostly newbie) artists in ways that run the gamut from coaching to holding contests. Some agencies are accumulating artists, hoping that more people earning less money can make up for the reduced sku counts and short market runs. Branding agencies are taking on artists and art agencies are promoting brands, and both are consulting for manufacturers who are buying art worldwide and licensing art only when they have to. It’s a wild time in the biz." Jim's article is a very "tough pill to swallow" but his aim is not to discourage artists so they quit trying to license their art but to energize them by trying new ways to license it. To get Jim’s perceptive on licensing art in today's market, read his article. Note: I recommend that you read Belgium surface designer Ine Beerten's article "The Big Contest Dilemma" if you are interested in entering a design contest. Ine wrote a really thought-provoking article about contests. She ended her post with "So what do I hope you take away from this post? I hope you think careful when you enter a contest next time, think whether it’s just an easy way for the company to get free artwork and cheap marketing and whether the prizes are truly fair, or if you can really gain something that is actually worth something to you. By entering these bad contests you only help them devaluating your own and other artists’ work!" In "16 Art Licensing Agent Agreement Essentials" by licensing consultant J'net Smith, she states that "It’s easy to get excited about the prospect of finally signing with an agent and forget to make sure that the contract is not only fair to both of you, but includes everything you need. . . Don’t accept the first contract you are given without understanding all the obligations and ramifications of each clause. It may be your first and the most important contract you will ever sign." Artists may interpret the terminology and meaning of legal terms or poorly written clauses in a contract incorrectly. And, if clauses that should be in the contract are missing such as the date and terms specifying termination, the artist may be obligated that the agency continues to represent her/him forever. That is why it is recommended that an attorney experienced in art licensed legislation look over the contract before the artist signs it. It is less expensive to pay an attorney to make sure the contract is fair to the artist than to pay him/her to try to free the artist from a bad contract even if it is possible. What I deem unethical is when an agency does not pay monies due to artists for licensing their art or taking advantage of artists by having clauses in their artist/agency contract that takes control of the artists work and denies the artist usage of their own work. Several years ago two artists told me that their agencies were not paying them revenue for their art being licensed. Their agents insisted that the art had not been licensed and yet the artists saw their art on products in stores. In one case, the artist was able to get monies owed by hiring an attorney. In the other case, the artist found out that her copyright was infringed upon and the art was illegally used. 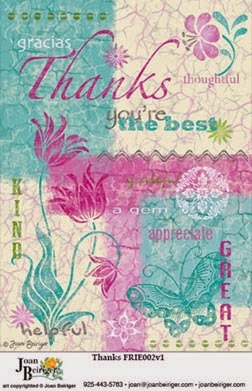 It is important that artists be constantly looking for their art on products in stores and on the Internet. And, getting their friends to help. That may be the only way that an artist finds out that their copyright has been infringed upon. In the article "Hot Words to look out for in contracts" art licensing agent Lance Klass of Porterfield's Fine Art Licensing discusses the word "assign" and the consequence when used in any art/agency or licensee contract. He wrote ". . . when you see the hot word "assignment", make certain that you're not assigning the copyright or all reproduction rights to your artwork as a part of the agreement. If you do, it's lost to you forever. Other people will control the reproduction rights to your art, and you'll actually have to ask their permission to reproduce the art that you created." Lance relates a couple of horror stories that artists endured by signing bad contracts in his article "How to Avoid the Most Common Mistakes in Licensing Your Art". In one example, Lance said ". . . This agency, which just happened to be owned and operated by the same people who owned and operated the publishing company, gave itself the exclusive right to publish any or all of the artist's work for the next five years and to sublicense his art to anyone they wished, whenever they wished". He stated, "If there's any one piece of advice I could give an artist about to enter a legal agreement, it is to read every single line in the contract and make sure that you totally understand it. I know that isn't easy for most people, but don't get in the water if you don't want to get wet. If you find that there are sections or sentences that aren't written clearly, don't say what you want, take away a bit more of your rights than you feel you want to give, or if any of it seems confusing or contradictory, have the company rewrite it in plain English. . . . But don't let this stop you from promoting your art for license. Most companies are quite reputable and many contracts are completely understandable by the average human. Just make sure you read every word, and know what it means". Not all agencies have unfair terms in their art/agency contracts but some do. Terms that seem unfair to artists are usually in the contract because of the way the agent decides to operate the agency. For instance, a clause in the contract may state that the agent will make all decisions in licensing the art. That means that the artist has no say-so in what company manufacturers her/his art, will not have the opportunity to approve or not approve the licensee contract or even see it, and cannot approve the amount of royalties or flat licensing fee that will be paid for the use of the art. That is unfair to the artist. But, the artist may trust the agent to do a good job and is willing to sign the contract because she/he wishes to be represented by the agency. What is NOT acceptable is if the artist is blindsided and not aware that the terminology in the clause gives the agency that right. And, that is the reason why an art licensing attorney should be hired to point out unfair terms in the contract before it is signed. Note: Yes, there are agencies that have that clause in their contract. Below are more contract terms and business practices (may not be in the contract) that may be construed as unfair to artists. A variation on the above unfair term is that an artist does not see the licensee contract but gets to approve or not approve the contract. The agent sends a form to the artist with the basic terms of the deal so that the artist can sign it for approval. Just like the above term, the artist must trust the agent that she/he makes sure that the clauses in the licensee contract is fair. Most agree that the termination clause is the most important clause in the artist/agency contract. In his article "The Artist – Agent Relationship" art licensing attorney Joshua Kaufman states, "The greatest issue of tension and dispute between artists and their agents surround post-termination issues. . . . The issue of how long an agent is entitled to keep receiving its commission after the contracts terminates, is one that is strongly negotiated. Agents of course, wish to be compensated for not only the full term of their contract but for the term of the licensing agreement and of all extensions and renewals. The artist wants to limit the payment to the agent after their contract expires. Agents believe that they secured the contract, they work long and hard, had to wait for their money and should be entitled to their receipts throughout the term of the contract. " Note: Most contracts do give the agency the right to continue receiving commissions from the contracts they obtained for the artist until the contract expires and no renewals are requested by the licensee. 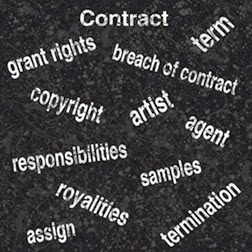 Some agencies have clauses in their contract that allows them to continue representing the artist after the termination of the contract. The representation is for an additional several years after termination and is limited to those licensees that the agency obtained contracts for the artist's work during the term of the contract. There are questions on the legality of this clause according to attorney Joshua Kaufman in his article "The Artist - Agent Relationship". He states "One finds in many agreements prohibitions against dealings by an artist, post termination, with the agent’s clients. First of all there is a question (which depends on which state law applies) whether those clauses are enforceable and to what extent. . . If the agent’s client list is very large, and there is a blanket restriction against dealing with the agent’s clients, and this precluded the artist from doing business or greatly hampered their ability, many states will disallow the restriction." There may not be a clause in the artist/agency contract but some agencies do not allow their artists to interact with licensee art directors. All licensee requests for high-resolution art are sent to the agent who forwards it to the art director. And, all requests for editing of the art go through the agent. This is awkward and frustrating to the artist. It is much easier and faster for the artist to make art changes if she/he works directly with the art director. Not all licensing contracts allow the approval of art on the products before they are manufactured. But if it is in the licensee contract, the agent normally approves the samples and not the artist. That restriction may not be in the artist/agency contract but because of licensee time restrictions it is not usually possible for the agent to ship the sample to the artist for approval. Many agencies do not require artists to pay any of the agency expenses. But, if they do required their artists to help with trade show and other agency expenses it should be clearly spelled out in the artist/agent contract according to art licensing consultant J'net Smith in "16 Art Licensing Agent Agreement Essentials". 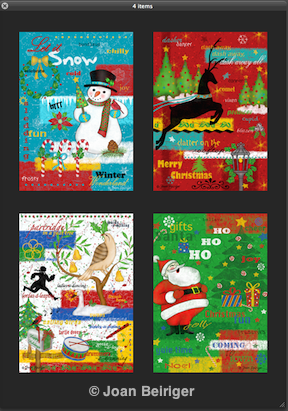 There are many good art licensing agencies. But, do not get blindsided and sign a bad contract. Do your homework and ask agents for recommendations of artists in their agency to talk to and/or look at agency websites for the artists the agencies represent. Select a few artists and find out their contact information from their own website, Facebook or LinkedIn. Either phone or email them to ask questions about the agency. Make sure that you fully understand all the terms in the artist/agency contract. And better yet, hire an attorney that knows the ins-and-outs of art licensing to look over the contract and point out any unfair clauses before you sign it. 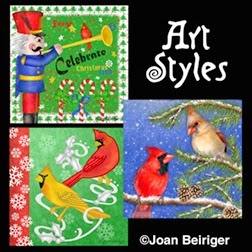 For a list of agencies, read "List of Over 50 U.S. Art Licensing Agencies". But, you need to research the agencies yourself because I am not familiar with all of them or their artist/agency agreements (contracts). The above post mentions quotes from the following articles. I recommend that you read these articles because they contain a lot of important information you should be aware of. Two years ago I posted "Art Licensing: Marketing Art Outside-the-box" where I discussed why an artist needs to market her/his art so that its stands out from the competition. In the article, I showcased United Kingdom illustrator Johanna Basford and how she marketed her art outside-the-box by bombarding Starbucks with her intricate and gorgeous black-and-white illustrations drawn on their paper cups. It worked so well that she was commissioned to create wallpaper for Starbuck's London Vigo Street store in time for the 2012 London Olympics and the Queen's Diamond Jubilee. Johanna has a very impressive and long list of clients including Crabtree & Evelyn, Absolute Vodka, Angostura Rum, Hallmark, Johnson & Johnson, H& M, Nike, Channel 4, Sony Music, and even Mercedes Benz Smart Car. She has continued her thinking outside-of-the box marketing and last year she created her own innovative way of selling her art on products with her Wonderbeasts project. Individuals made pledges via Kickstarter to get gifts (signed postcards, silk screen prints, etc.) with her Wonderbeasts illustrations (insects and creepy crawlies, birds and feathers, woodland creatures, reptiles, deep sea dwellers, safari animals) on them. The project culminated with the publication of Joanna's Wonderlands book of her Wonderbeasts illustrations and gave credit to those that made pledges. For more information about her successes and her Wonderbeasts project, read "Johanna Basford - Wonderbeasts". Read Johanna's blog to find out what is going on in her studio, see more examples of her amazing work, her complete client list, etc. According to Starbucks, people have been decorating their paper cups for years. But, because Johanna used social media to publish her outside-the-box marketing with her beautifully decorated cups it really caught the publics attention. Not only did it promote Johanna's art but it also promoted the Starbuck brand. In April 2014, Starbucks decided to promote a white cup contest with the winning design to be printed as a limited edition of Starbucks reusable plastic cups. It generated over 4000 entries in three weeks. 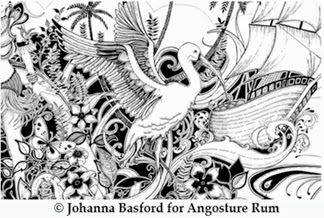 And in case you wonder, Johanna Basford did not win the contest. I do not know but she may not have even entered it. For information about the contest, read "Starbucks Invites you to Decorate Its Iconic White Cup". For information on the person who won the contest read, "Starbucks Announces the Winner of its White Cup Contest". 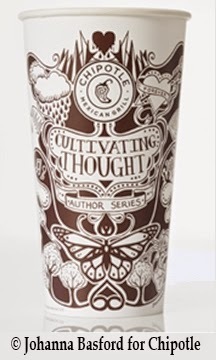 In 2014, Chipotle Mexican Grill started promoting and distinguishing its brand with their Cultivating Thought / Author Series initiative of prose written by well known authors and printed on their paper cups and bags. Black-and-white art created by different artists also embellishes the cups and bags. The marketing idea came from author Jonathan Safran Foer who pitched the idea to Chipotle's CEO Steve Ellis as a way to enhance the customers dining experience. More information about the initiative can be found by reading "Why Chipotle Wants You to Read Its Cups and Bags". Note: Johanna Basford may not have gotten her art printed on Starbucks cups but she does have a design on Chipotle's cups and bags. She illustrated Nobel Prize winner author Toni Morrison's prose. I love to read about successful artists especially when they use innovative ways to promote their art. In today's market to be successful artists need very unique art so that it stands out. Also it really helps if artists use outside-the-box marketing to create a buzz. 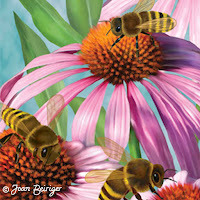 Johanna sure is creating a buzz! She does commission work and also sells directly to the consumer via the Internet. And, selling her work is no easy task because black-and-white illustrations are a harder sell than if they were vibrantly colored even though her illustrations are outstanding! Johanna has proved that being focused, working extremely long hours, and doing clever marketing can turned artistic and marketing talent into a successful business.